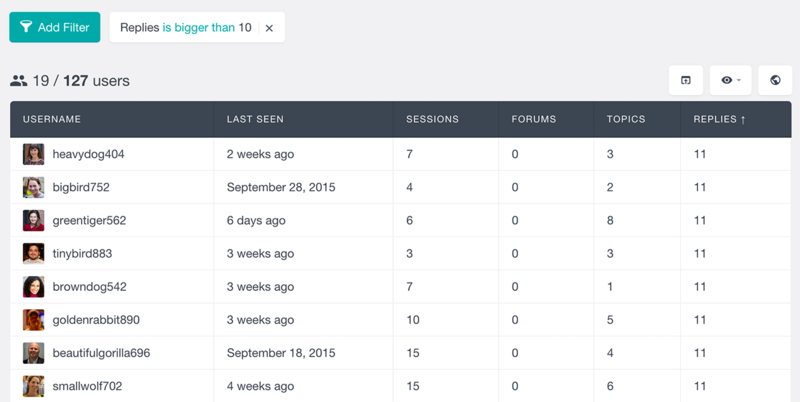 The Users Insights WordPress plugin comes with support for the popular forum management plugin bbPress. 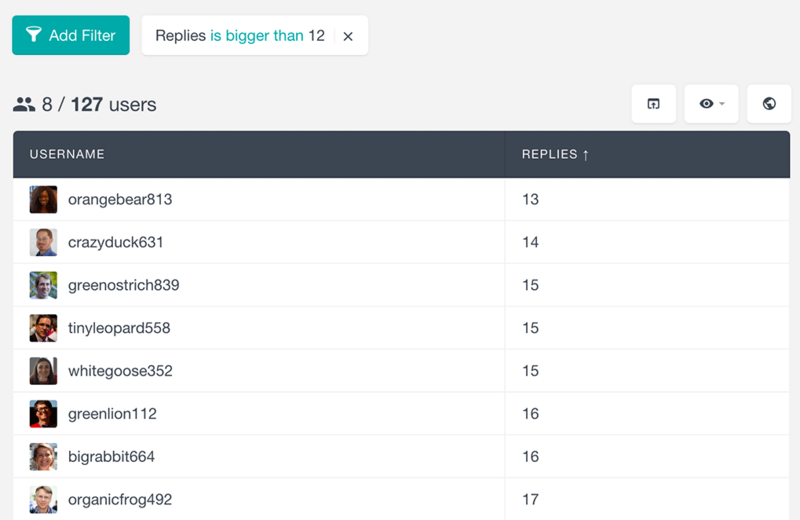 You can use bbPress to create your own forums with topics, where your WordPress users can have open discussions on any topic. With the bbPress module for Users Insights, you can now analyze your bbPress users data and better understand how your users interact with your bbPress site. The Users Insights WordPress plugin adds information about the forums, topics and replies for each user and when combined with the default Users Insights functionality, fields and advanced data filters, it can be a great analytics tool for your bbPress site. The Users Insights user profile section also includes more details about the topics created by each user – it lists the most recent topics including a link to each topic, along with a “View” link that opens the bbPress topics page in the admin, filtered by the selected user. This can be a very handy feature to check who your most active users are – it can be also combined with any of the rest of the filters, for example, you can add additional filters for the number of sessions, the last seen date or any of the other bbPress fields. One of the most useful features of Users Insights is that you can easily export your WordPress users, by applying custom filters and choosing how your exported users data will be organized. The good news is that you can also have all of the above-mentioned bbPress data exported in the users list and you can also apply filters to the bbPress data before exporting the users, so that for example, you can export the list with your most or least active users.